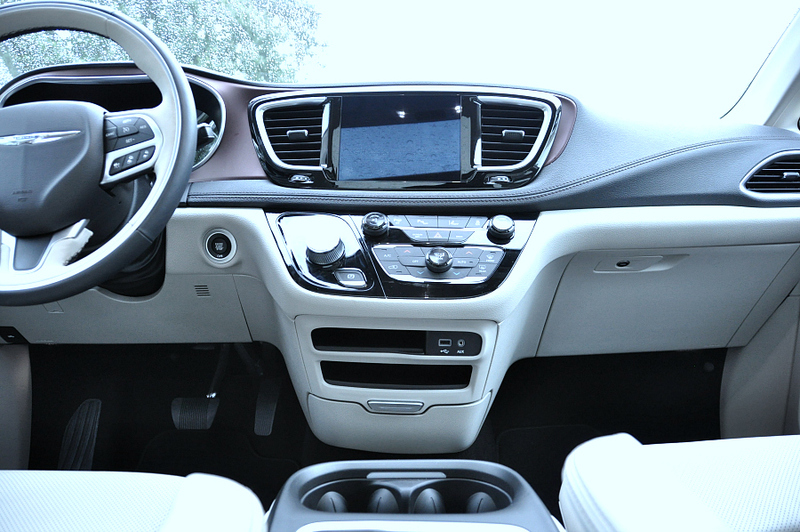 I received New Chrysler Pacifica 2017 as a review in exchange for my personal thoughts. 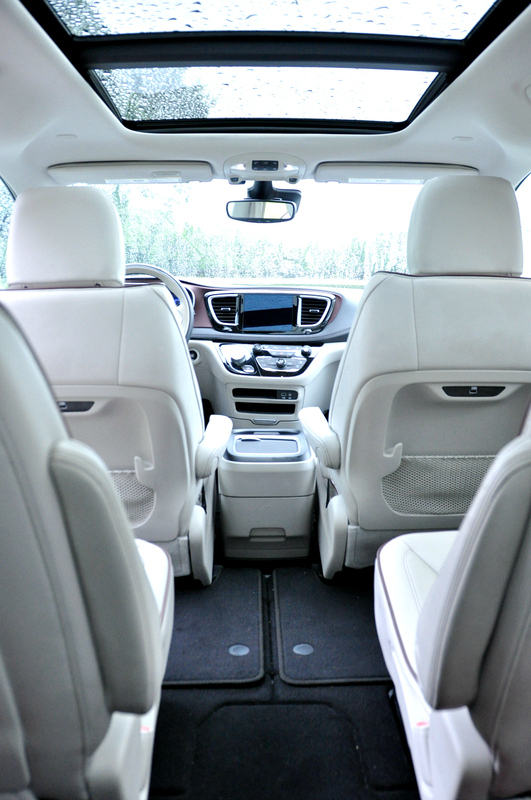 What better way to start preparing to be a family of six than to test drive the all new 2017 Chrysler Pacifica Limited. 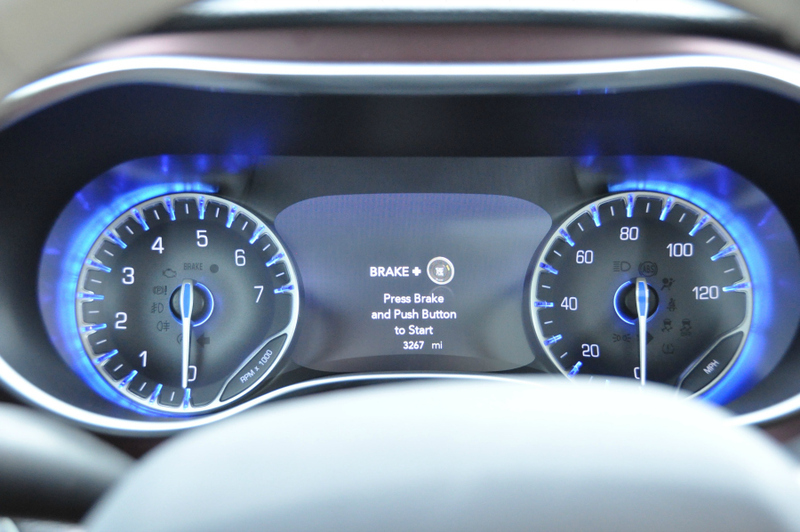 The Pacifica arrived a couple of weeks ago and I immediately fell in love. This is not a joke, I was not paid to say that. 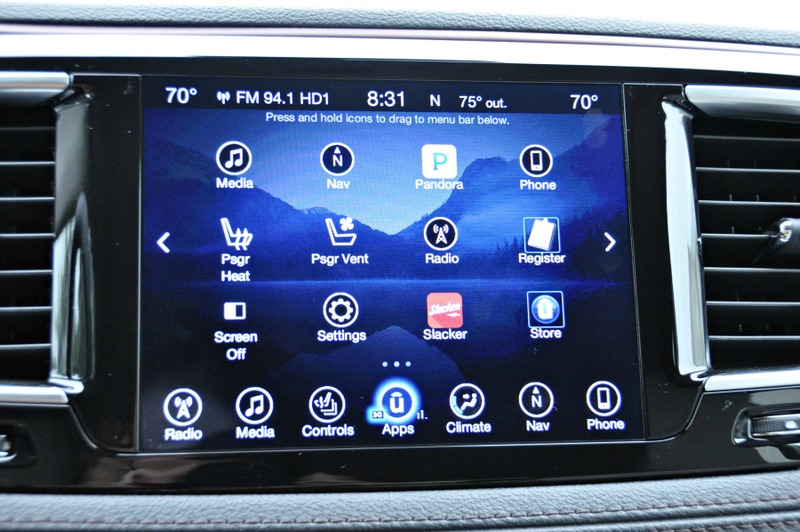 I literally fell in love with this reinvented minivan. From the outside, you might say it’s nice, looks sleek, but Michelle why are you in love with this minivan? Well, I opened the doors and began to be amazed by the countless features. I immediately found places I needed to be, just so I could drive this baby around. And that is when I fell in love. I fell in love with the quiet hum of the engine, the ease of driving, the smell of leather trimmed bucket seats, and the safety features. Oh those safety features are amazing. It rained, every single day that we had this vehicle. 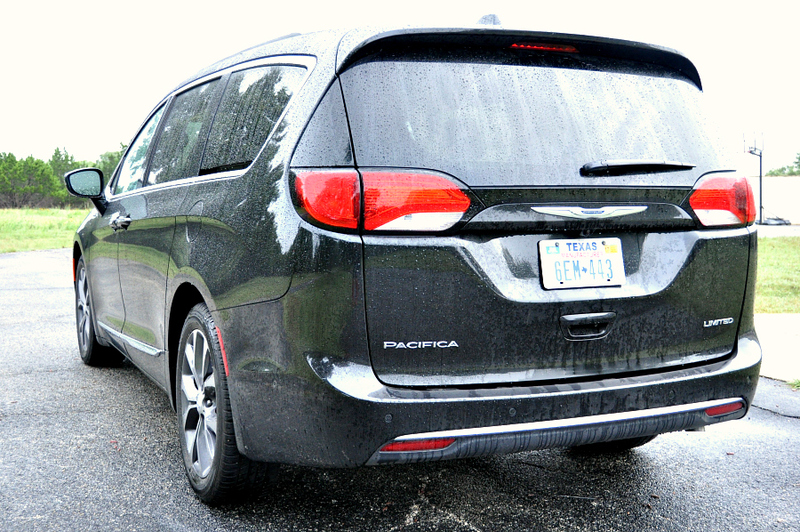 I normally hate driving in the rain, but felt so confident behind the wheel of the Chrysler Pacifica. It handled the road like no other and simply felt safe. My husband even joined me on a day of shopping, because this van y’all it has so much room and it’s such a dream to sit in, he actually insisted on joining me. 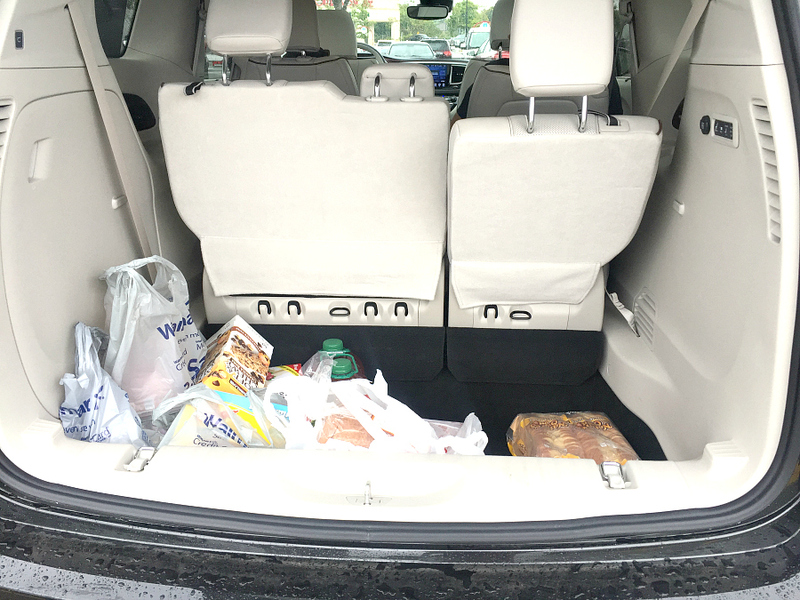 The space is plenty and I easily had room for multiple shopping trips. I fully expected that we would have to use the automatic power folding third row seat to make room, but surprisingly the back is so spacious that we didn’t need it. The hands-free lift gate is perfect for getting everything in and out of your vehicle, especially when you get caught in the rain. Which turned out to be the perfect excuse for me to score some alone time. 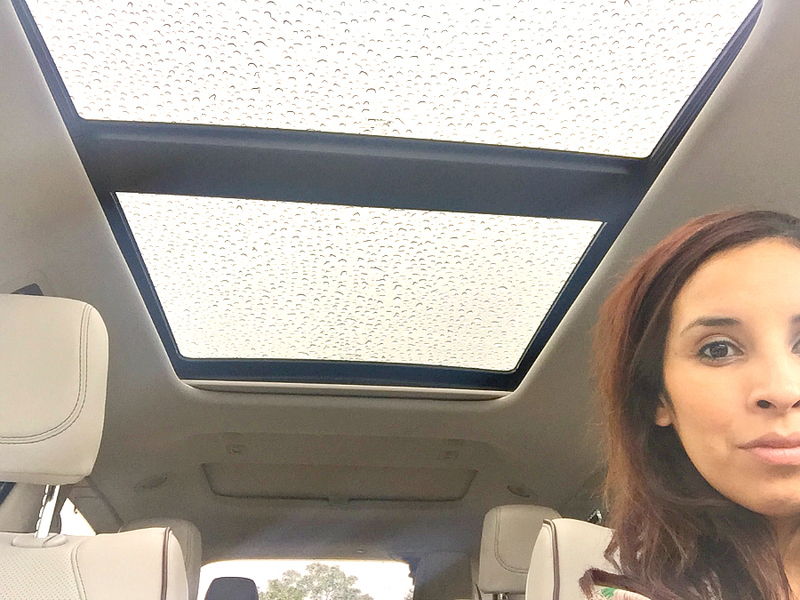 Just me in the Pacifica watching and listening to the rain fall on the panoramic sunroof. Mamas don’t score enough of this alone time. 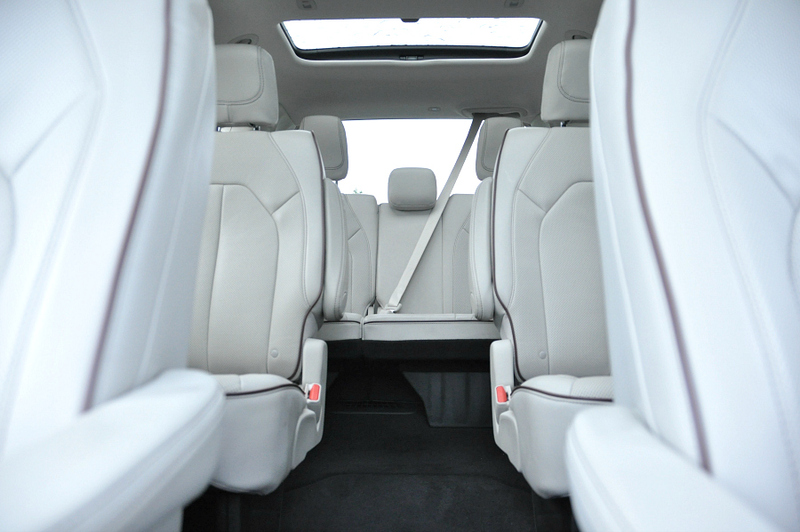 2nd and 3rd row Stow’n Go seating allows for full use of the space in this vehicle. The front seats are ventilated which allowed me to cool down faster as opposed to getting in a hot car on a summer day and sticking to the seats. Oh you know what I’m talking about, there is none of that with these ventilated seats. In the winter you can take advantage of the heated front and 2nd row seat option. Pair the heated seats with a heated steering wheel and this van becomes a dream to jump into on a cold winter day. 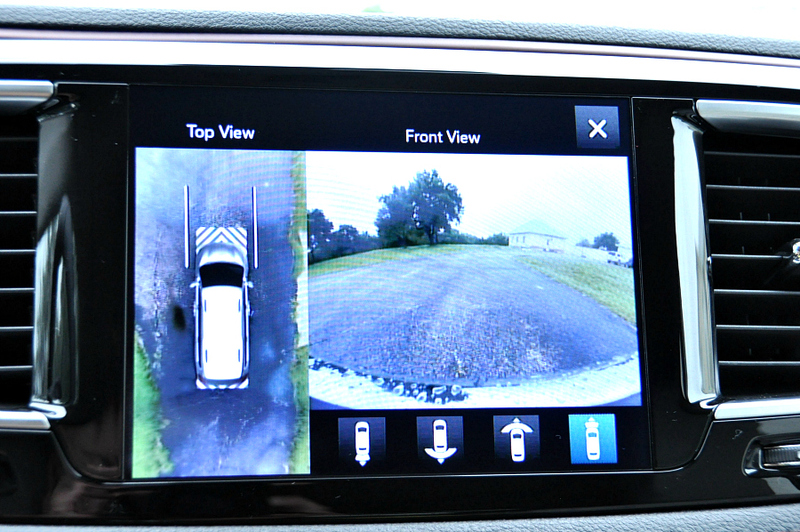 The 360 degree surround view camera system is one of those features that makes you feel safer about your surroundings. 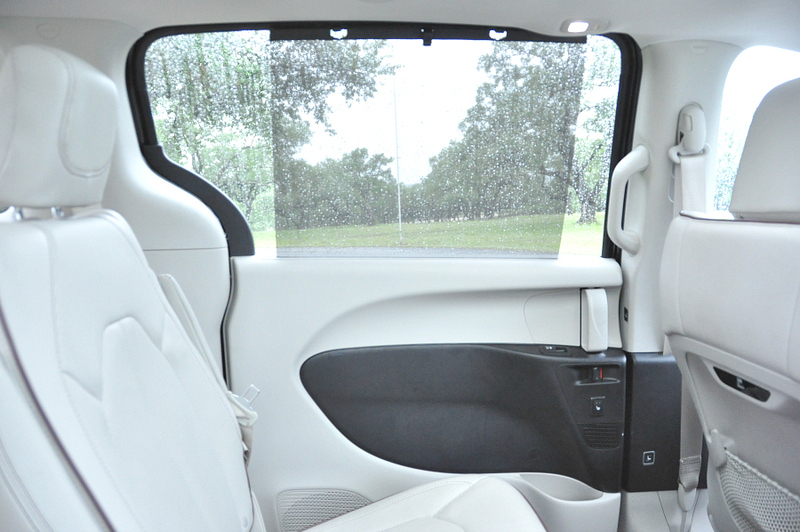 Imagine crowded parking lots or being nervous that a child or pet could pop out unknowingly. As they say, know your surroundings. 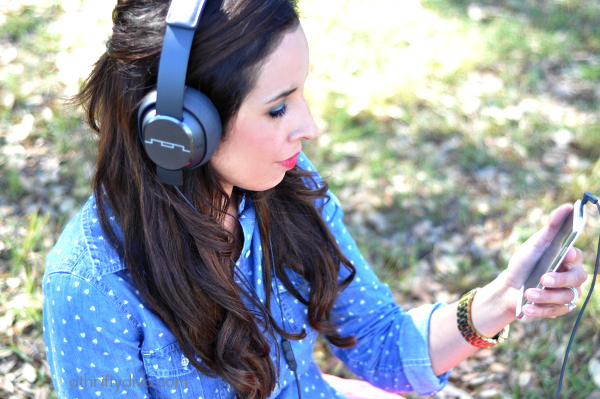 With everything at your fingertips, the options quickly became a part of my daily life. The hands free sliding doors are great for my large family. We can easily get them in and out without the fuss. 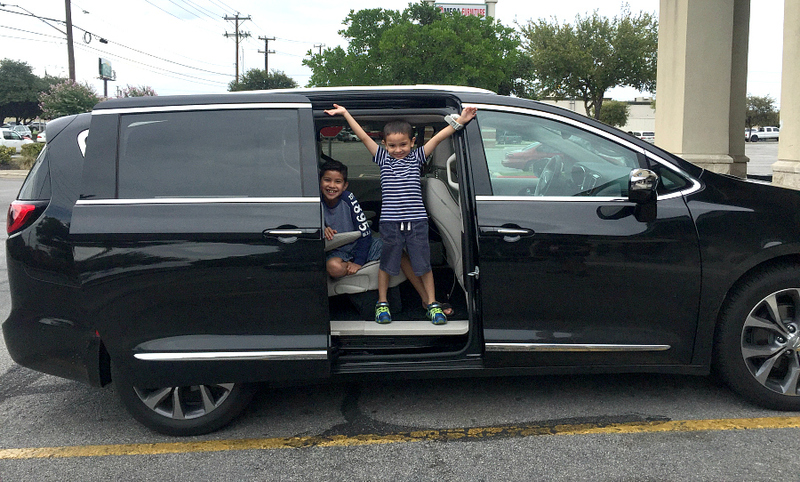 I didn’t want to give this van up, because every single person in my family loved the Chrysler Pacifica. It’s basically my next vehicle and I can not wait until I get my hands on my own. 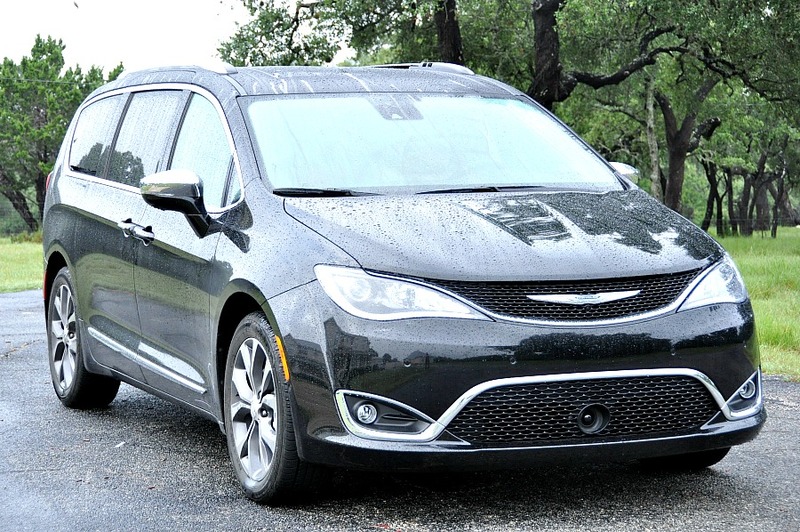 Learn more about the 2017 Chrysler Pacifica. 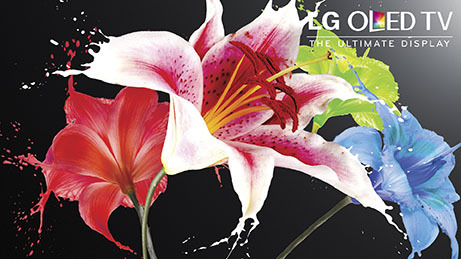 The Limited edition has a sticker price of $46,000. Fuel economy of 18 city and 28 highway MPG.